After reviewing the cheapest hosting services, our experts compiled a summary table comparing the top budget hosts and their value at a glance. Before you choose your host, factor in monthly cost, our expert ratings, and whether they offer free incentives such as domains, website builders, unlimited storage, or marketing credits. Looking for something other than cheap web hosting? As a TJ Maxxinista and lover of a good BOGO deal, it’s safe to say I’m a fan of cheap — but not cheap quality. The same rules apply for web hosting: I want a fantastic deal of a product for a price that doesn’t make me cringe. Fortunately, I’ve found that many of the top-tier providers in the industry actually offer monthly plans in the $5 to $15 range, but you have to know what to look for. 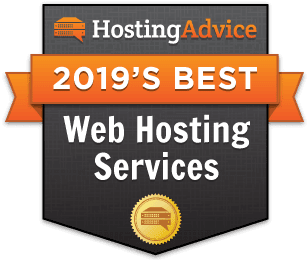 Here, we cover the most affordable hosting plans, the services they include, and why they’re so valuable to you as a hosting shopper. Happy browsing! The first step to creating a new website and signing up with a web host is selecting a unique domain name. Part of what makes the hosts on our recommendation list above so valuable is that they include free domain names — for the first year of service or, better yet, iPage includes a free domain at signup. Offering a 1-year domain name registration, arguably one of the best website builders (Weebly), and $300 in marketing credits for free, iPage is a steal in the hosting market. Within seconds of researching domain names, you’re going to come across GoDaddy — the #1 domain name registrar in the world. GoDaddy plans tout cheap domain name registration, excellent domain and email hosting options, and a support team that has my personal vote of confidence. The trickiest hosting services to afford for those on a budget tend to be VPSs and dedicated servers. It’s to be expected, right? More resources, split between fewer customers, translates to more cost. Enter InMotion’s affordable, high-performance servers shaking up the market. Seriously, their services kill it. TL; DR: Affordable Web Hosting Is Possible, Folks!